Hundreds attend services at St. Mary Church in Sharpsburg, Pa., in 1955. Fewer families are attending mass and giving donations. Fewer men are pursuing the priesthood. As a result, last month the Pittsburgh Diocese began implementing its largest consolidation of parishes in decades. Paula Kane, chair of Contemporary Catholic Studies at the University of Pittsburgh, said church membership wasn't always in decline. The presence of western Pennsylvania’s Catholic population can be traced back to French fur trappers who converged at Fort Duquesne in the 18th century. By 1843, enough Irish and German Catholics had immigrated to the city that the Vatican established the Pittsburgh Diocese. It was among the first diocese in the U.S.. Kane said there was a race to evangelize what was considered a mission territory. 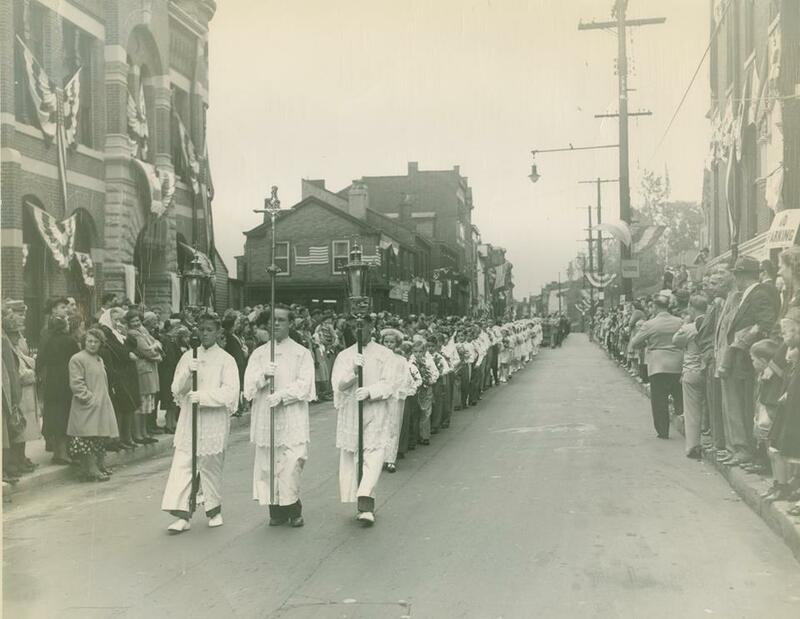 A processional in celebration of the parish St. Michael's on Pittsburgh's South Side in 1948. Towards the turn of the century through the 1920s, Pittsburgh saw its biggest influx of Catholic immigrants, mostly due to the availability of jobs. “That’s when the steel mills draw in people after the civil war, and we have lots of Pols, Italians, Slavs, Hungarians, Lithuanians, and so forth who are all Catholic of different types,” said Kane. According to her, the majority of Pittsburgh’s working class was comprised of Catholic immigrants in the early 20th Century. With their growth came needed infrastructure for the church, including a rectory, convent, school and pilgrimage site. For a time, Catholics struggled to gain acceptance in Protestant America. They couldn’t go to Ivy League schools, and had a hard time finding employment and getting loans. 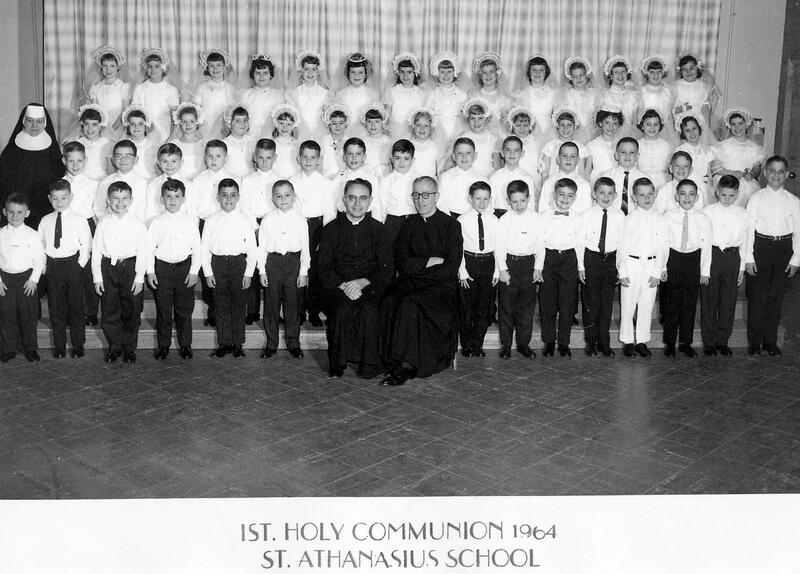 St. Athanasius parish first communion class of 1964. Around this time, there’s also the establishment of Catholic universities, Catholic insurance companies, and Catholic labor unions. Sixty-six-year-old Marguerite Smith said she loved growing up Catholic. Marguerite Smith is an active member of St. Agnes parish in West Mifflin, Pa. The families around her were involved, too. She said every kid in her class took first communion, and was confirmed years later. But these days, the folks helping out around the parish are the same ones who have been doing it for decades. Smith said in the last 25 years, the number of families in her parish has reduced by half. She tracks some of the decline back to the 1960s when the Vatican attempted to make the church more contemporary and accessible – more power to the people, less Latin. Some people loved it – some didn’t. She said the impact was gradual. “It wasn’t like the next week when they made the first change at mass that half the people didn’t show up. Because people went and it didn’t look familiar anymore. It started to seem not as important,” said Smith. Around that time, there was another big change - a renewal of the prohibition against contraception that turned off a lot of Catholics. Some priests and nuns left their orders. Plus by then, immigrant communities were more assimilated and affluent, and less involved in their parishes. In the meantime, all those costly stained-glass windows and organ pipes still needed to be maintained. Smith’s daughter, Marguerite Haldin, is among those who hope to revitalize Pittsburgh’s church. The 31 year-old is a go-to volunteer for fundraisers and events at St. Therese Parish in Munhall. Marguerite Halden is one of the youngest active members of her parish St. Therese, and was among the youngest members of the On Mission For the Church Alive! commission. That young adult ministry is small. Its size reflects a demographic shift and saying often heard around the diocese, that "you see more funerals than baptisms these days." And there are numbers to back that up. In 1960, there were about 24,000 infant baptisms in the diocese. In 2016, there were just over 4,000. Mass attendance is down sharply, too. When the diocese started tracking it around 1990, 300,000 people attended. Now, that number is down to fewer than 140,000 worshipers. And it’s not just attendance in decline, but leadership – a priest shortage is only getting worse with older clergy retiring. Halden said it was clear that something had to give. In the 1990s, former Pittsburgh Bishop Donald Wuerl reduced the number of parishes by about 100. In 2015, current Bishop David Zubik continued that restructuring effort with On Mission for the Church Alive! It’s a plan that places 188 parishes into 57 parish groupings. The idea is to create fewer, but stronger communities. “We looked at it as ‘we want to revitalize our Catholic community, not feel like I’m this one person and there’s no one else to help me,’” said Haldin. And with half the parishes operating in the red, the new model also consolidates expenses. Haldin was a member of the On Mission Commission. In order to advise the bishop, the group analyzed data, and collected a lot of community feedback. Ultimately, the task was to combine multiple parishes, taking into account funding, geography and culture. She said it was like solving a giant jigsaw puzzle. The changes coincide with a drop in approval by Catholics of their satisfaction with the church's handling of widespread clergy sexual abuse scandals. 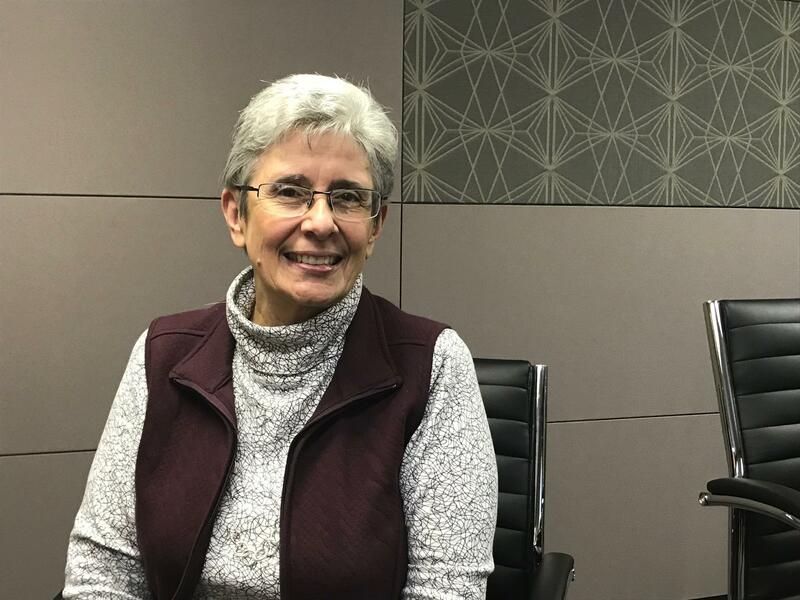 Marguerite Halden said people were leaving the church before the reports were made public, and that she hopes the On Mission Commission can better address parishoner concerns. “Our goal is to revitalize, our goal is to make things better, so it’s not that you’re dismissing negative things that have happened within the Catholic church, but you’re looking at a bigger picture of how can we grow from this,” she said. While there were some mixed feelings throughout the diocese about the reorganization, its still too early to gauge its long-term impact on the Catholic church.